Hi friends! I have two projects to share with you today! 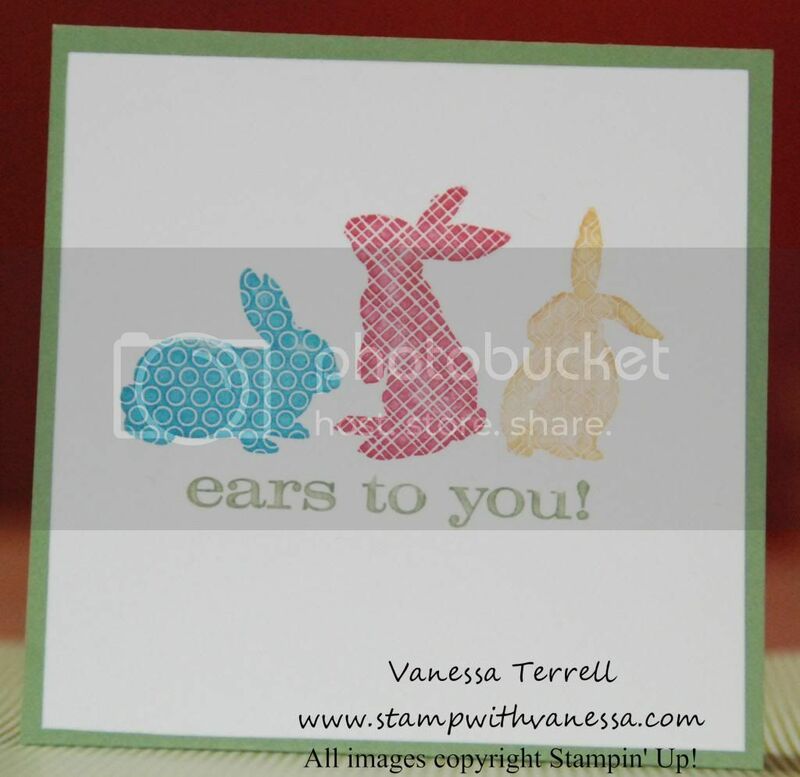 I used the Ears to You single stamp to create these projects! Here's what the stamp looks like if you've not seen it yet! 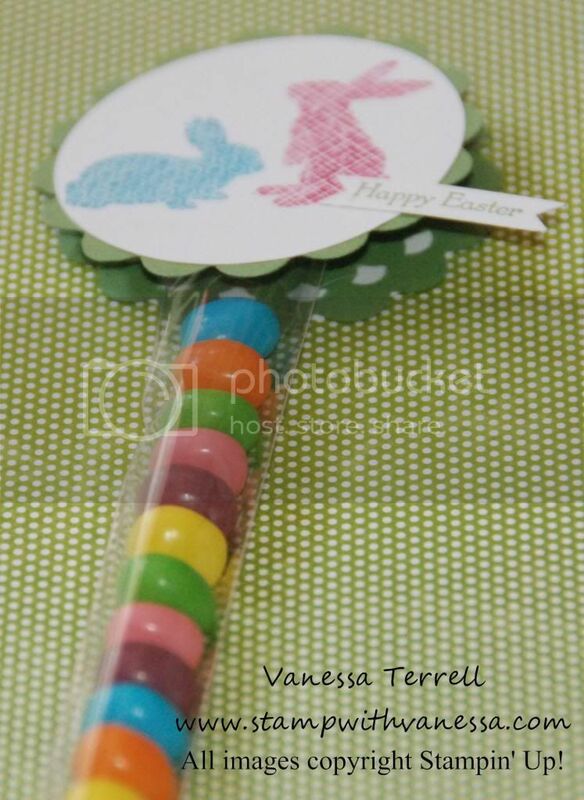 The first project I created is a treat bag using the stamp and our 1" x 8" cellophane bags. I colored in the images I wanted to use using the Melon Mambo and Tempting Turquoise Markers and then stamped onto Whisper White card stock. Here is how my treat bag turned out! 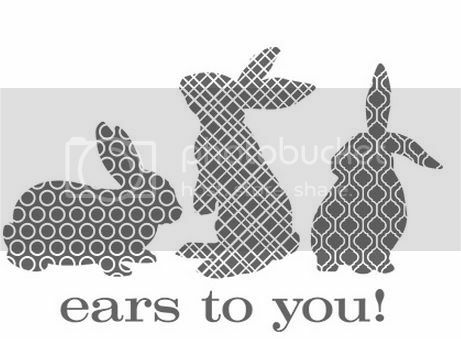 After I colored the images and stamped I then used a circle punch and punched out my image and then I used my Big Shot to punch out a scallop circle from the Perfect Pennants die and then I stamped Happy Easter and made a Bitty Banner using my Big Shot. My next project is a card using the same image, but this time I used the entire image to make the card. 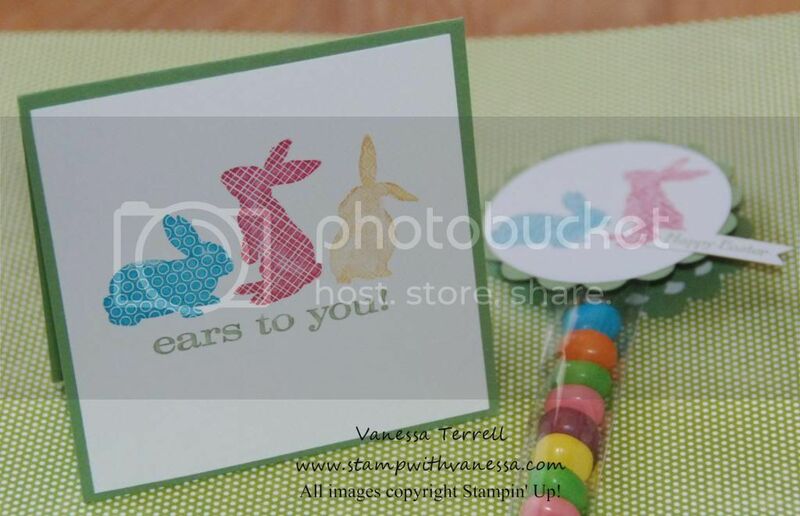 I colored in the images again using Melon Mambo, Tempting Turquoise, Daffodil Delight and Wild Wasabi and stamped on Whisper White card stock that was layered on Wild Wasabi card stock. Here's how my card turned out! Here are both project together!